If you’ve done something once and then set out to do it again, the expectation is that you’ll do better. Otherwise, why bother, right? 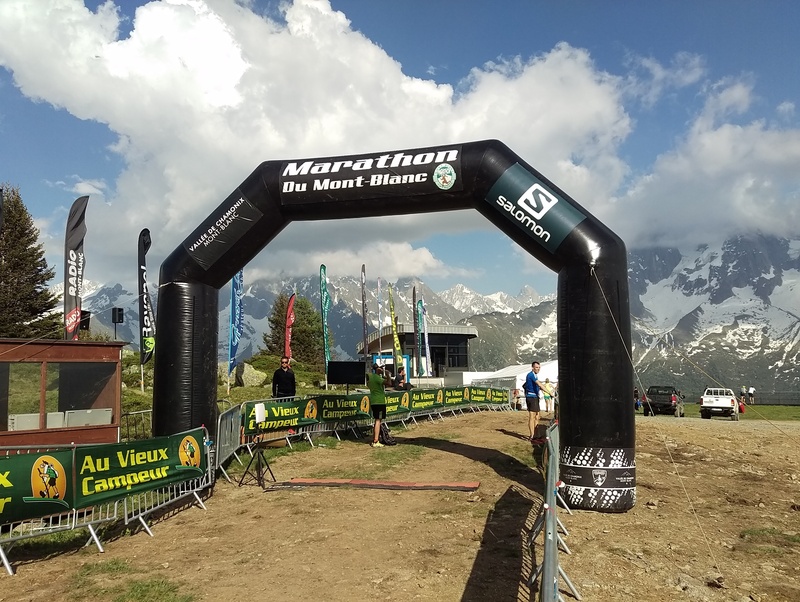 For the second year in a row, I was in Chamonix, France for the “KM Vertical du Mont-Blanc”, a vertical kilometer race that ascends 1000m of elevation in around 3.8km. The previous year, I’d reached my beginners’ goal of finishing in less than one hour. This year, I wanted to do better. But then several track&field events took away my focus and I ended up doing less than half the vertical mileage I’d done the previous year. The week of the race, the weather predictions were dire. Lows of 10 degrees, highs of 20 degrees, risk of rain showers. I wasn’t all that happy, but I’d cope. But then as Friday came closer, the weather forecast changed. 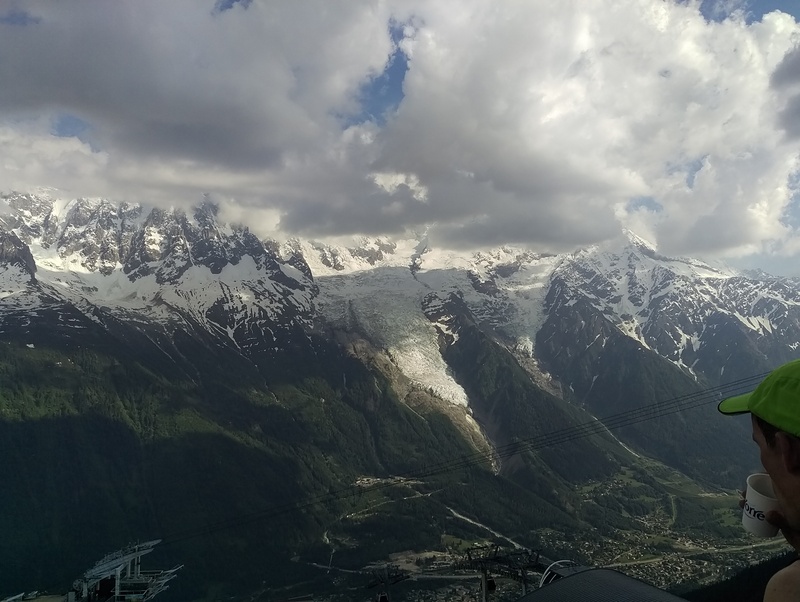 I drove 630km to Chamonix on Thursday, with my car reporting temperatures of up to 36°C. 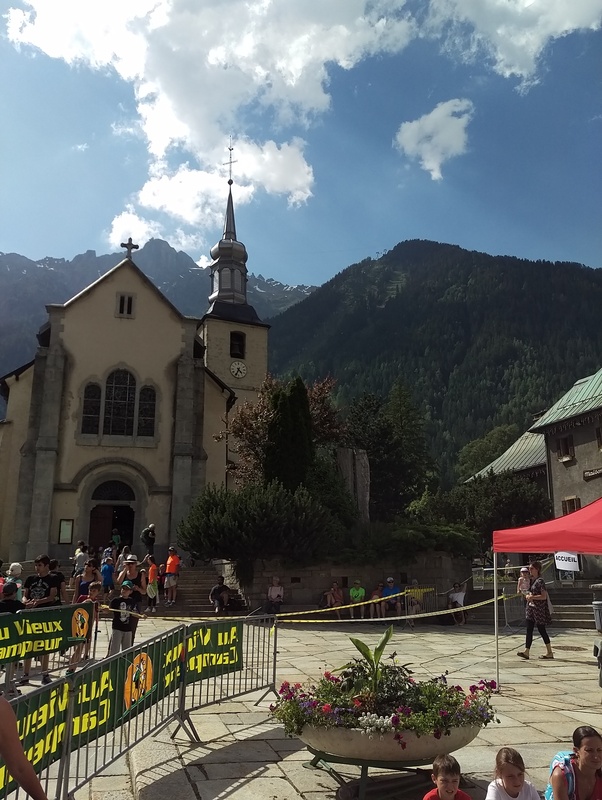 On Friday at 2pm, the temperatures in Chamonix topped out at almost 29°C. I walked 3km to the starting line in that heat, kept my warm-up quite light, and hoped for the best. 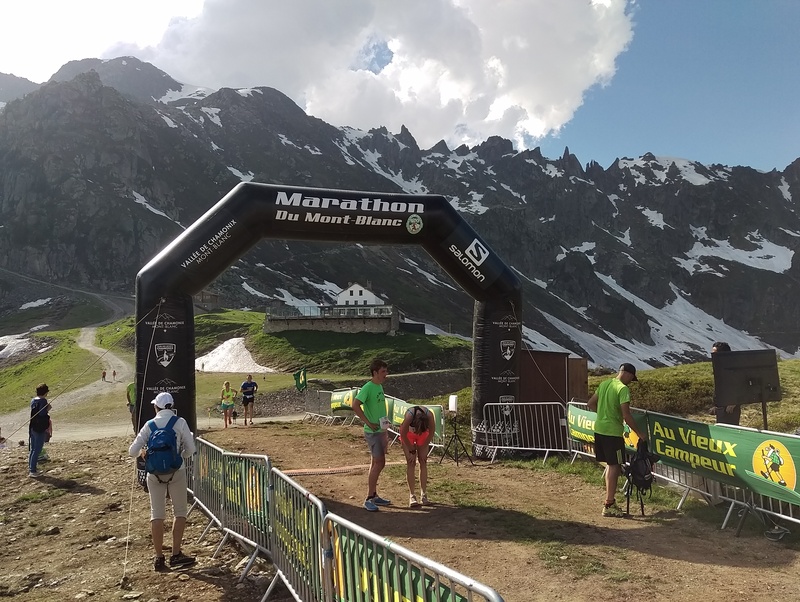 With 800 spots available for the vertical kilometer race (up from in 2015), I was expecting there to be lots of stress at the starting line. The opposite was true, with the speakers almost begging people to line up at the time they were supposed to start. Did people just try to wait for cooler temperatures, or had many of them not started at all? There was no line whatsoever as I crossed the start line and waited for the next 20-second count-down. I couldn’t get my heart rate down below 130 just standing there. I was wearing short running tights, a sleeve-less running top and well-broken-in Brooks Cascadias. In my pocket was a 0.5 liter bottle of water; and I’d emptied another one just like it during warm-up. The count-down hit zero, and I was off. Strangely enough, my bib (with timing chip) wasn’t scanned at the start, but maybe half a kilometer into the race. 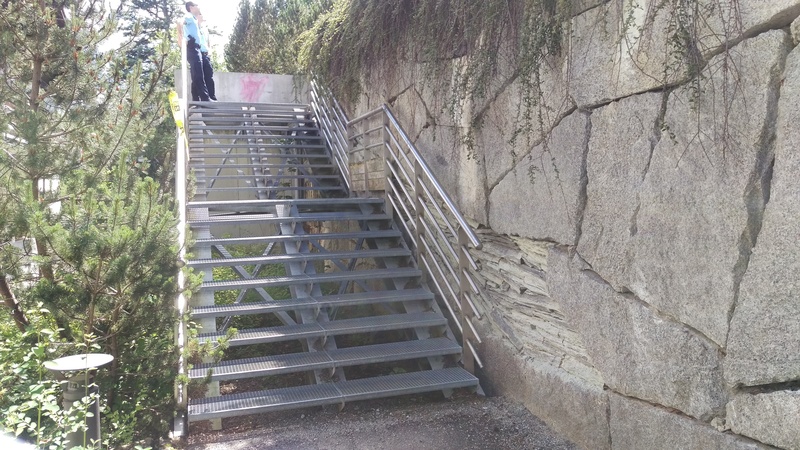 The spot where they did the scan was where the route rejoined rue La Mollard – the initial few hundred meters had been changed compared to last year’s course and instead of going straight from Place du Triangle de l’Amitié to Rue La Mollard via a roundabout, the new route bypassed the church on the right, going up several sets of stairs instead. 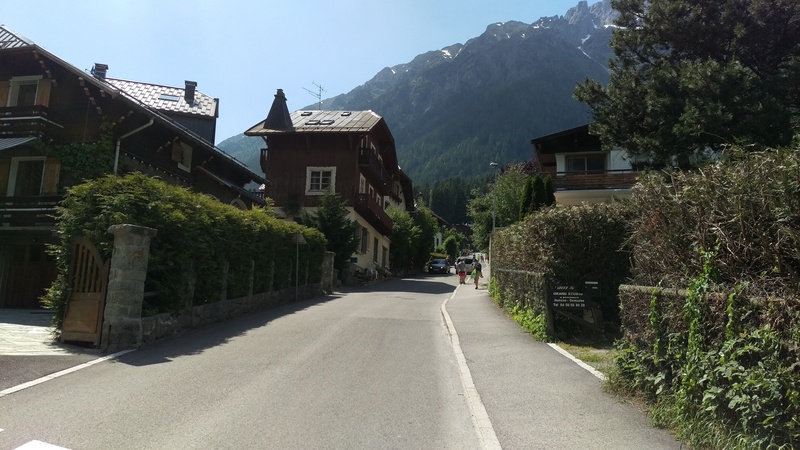 At the top of Rue La Mollard, a straight and even climb still on pavement, I passed my first competitor. 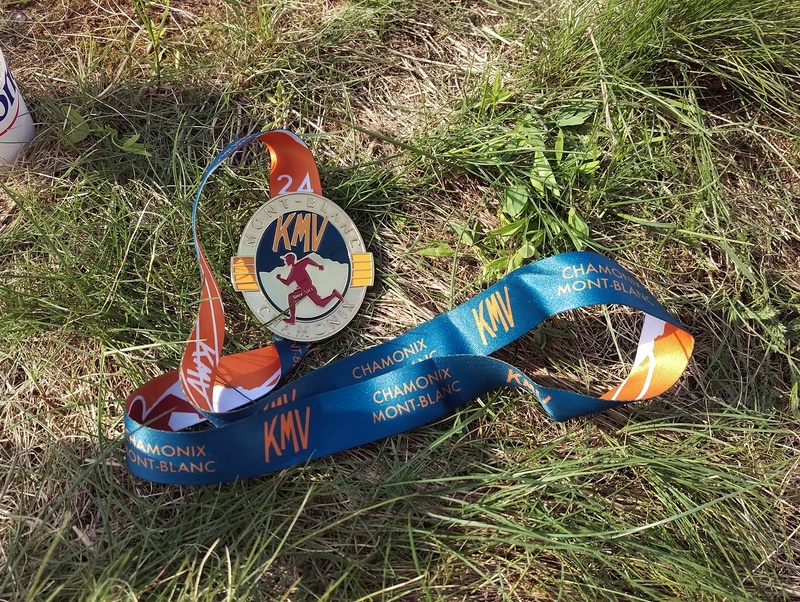 Shortly later, my watch beeped with the encouraging news that I’d covered the first kilometer in a time that was slightly faster than last year. So far, so good. And then, just as I hit the 100m elevation marker, which is also the start of the continuous switchbacks that define the next 400m of elevation gain, things started unraveling. For some reason, the effort felt harder than it should. I was feeling quite weak, my breathing was labored and I was sweating up a storm. I took a sip of water, but it felt burning hot. I was walking by this point, and I could feel that I wasn’t as strong as I was last year. Whereas last year, I was pushing aggressively, this year even just going through the motions felt like a lot of work. By the time I reached the 200m elevation marker, the one competitor I’d caught had passed me again. As did several others. I was feeling worse and worse. At some point, I thought that maybe some more water would do me good, and I downed almost the rest of the bottle, but to no positive effect. 300m of elevation. 400m of elevation. 500m of elevation. It’s all a blur, and I catch up with no-one while an increasing amount (10? 15?) people catch me. A random hiker who’s not even in the race is easily keeping up with me even though he’s talking on the cell phone. A little later I let him pass, and he offers me an energy gel. Do I look that bad? I thank him, but refuse. It’d be against the rules, and I don’t feel that the issue I’m having is something that a handful of calories would solve. Beyond 500m, the single-trail stops being just boring switch-backs and instead gets more technical. There’s a few spots where I use the hands to stabilize myself, not so much because it’s required but rather because I don’t fully trust myself. At least I seem to have stabilized a little and for a while I don’t get passed. I even manage to catch up with two female runners. Little victories do count when you’re down. 600m. 700m. The technical difficulties keep increasing. My heart rate has gone down quite a lot; which means that I’m definitely no longer pushing as hard as I should. But the effort level still seems very hard. My pace slows down some more as I realize that even though my heart rate is nowhere near its peak, I still feel bad. The slackening of pace is then more for self-preservation; because I don’t want to push beyond the 100% that are possible today; because a missed foot step or a slip could very well a fall of several meters and a fairly bad injury. Finally, we reach the photo spot that marks the end of the technical scrambling, and I’m sure I was looking very photogenic (or maybe not). When I say “we”, that is actually a good thing because while I’m still getting passed every now and then I’ve finally caught up to a runner or two. The course changes again it seems (or maybe my memory is hazy by this point) and we seem to go the other way around the cable car station. Now, it’s just an uphill sprint to the finish line, right? I actually start running again, pass another runner, but then as I approach the spot of last year’s finish, there’s… nothing yet. The new course still goes around a bend, and only then does the finish line come in sight. My breathing is really labored by now; that final running segment has taken all of the remaining energy that I had. As I cross the finish line, the speaker announces me by name and says I’m from “The Netherlands”. Really? Across the line, there’s a tent and a bench, and I sit down feeling like I weigh two hundred kilograms. I grab a cup of Coke, then another one, then a third one. The guy behind the counter asks me if I’m OK, because apparently I look quite white in my face. I reply to the affirmative, grab two slices of cake and head outside. I take off the soaking wet running top, take a few photos of the scenery and finish line and text my wife. I was around ten minutes slower than last year (Official time: 1:07:17, versus 0;57:43 last year). I’m quite disappointed, but then again, I had most of the race to come to grips with the realization that today wouldn’t be a good day. Maybe I need to come back next year?